Mary Lois Howard Henderson, age 87 of Greensburg, passed away Tuesday at the Green Hill Rehab & Care Center. Survived by her husband: Vernon Lewis Henderson of Greensburg. A brother and sister-in-law: Billy and Gwenn Howard of Greensburg. Two sisters and brothers-in-law: Doris and Johnny Henderson, and Mae and Bill Handy all of Greensburg. 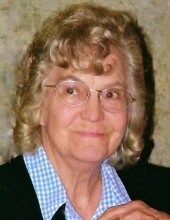 The funeral services for Mrs. Mary Lois Howard Henderson will be conducted at 2 P.M., Central Time, Thursday at the Cowherd and Parrott Funeral Home with burial to follow in the Green County Memory Gardens in Summersville.